BackParticipate in the Atla Digital Library! Two years ago Atla announced the beta launch of the Atla Digital Library. 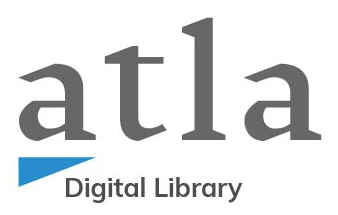 After two years of development and upgrades, we are excited to announce that the Atla Digital Library is now available in its full release and we invite and encourage members and other institutions to participate through contribution of their digital collections’ metadata. The Atla Digital Library brings together digital collections of scholarly, historical and cultural significance that are relevant to the study, teaching, and learning of religion and theology. By promoting visibility and access to these valuable collections, the Digital Library supports Atla’s mission of promoting worldwide scholarly communication in religion and theology. Currently, we are ready to harvest metadata from participating institutions that have existing hosted digital collections. In the near future, we are looking to explore adding the capabilities to host digital collections for institutions that do not have a platform in place. We are immediately able to harvest metadata for digital collections available online through a content management platform with OAI-PMH enabled, such as CONTENTdm, Omeka, Islandora, and others. We will soon add the capability to harvest metadata from Internet Archive for those institutions whose digital collections are available through that portal. Registration is open for Atla Annual 2019. Register for the pre-conference workshop, Digital Project Management for Theological Collections at only $30 per person. If your library has begun thinking about digitization projects, we encourage you to register to attend the ½ day pre-conference “Digital Project Management for Theological Collections” at Atla Annual 2019. We will also develop and offer webinars beginning this fall on digitization issues as well as launch a guide to digitization on the Atla LibGuides. We are actively seeking Atla members and other institutions who already have digital collections for which they would like to contribute metadata to the Atla Digital Library and thereby increase the discoverability and use of those collections. If you haven’t yet begun digitizing collections but are considering doing so in the future, we are also happy to consult with you on your future plans or discuss any other questions you have about digital collection creation, management, and access. To learn more about how to become a Contributing Institution, please visit our Participate page. If you have questions or simply want to learn more about the Atla Digital Library and the services we offer, contact us.